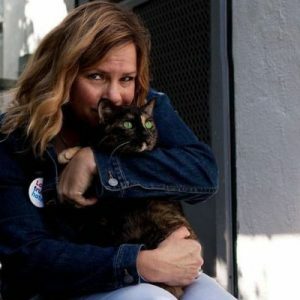 The far-right troll, who resigned from Breitbart after comments about pedophilia came to light, owes millions to various debtors. Far-right gay button-pusher Milo Yiannopoulos has racked up more than $2 million in debt, including to his own company, his former attorneys, and to the luxury jeweler Cartier, according to The Guardian. Yiannopoulos’s financial troubles are chronicled in a series of documents his former Australian tour promoter, Australian Events Management, pulled together. A lightning rod for controversy, the former Breitbart golden boy has faced boycotts and cancellations of his appearances, especially on college campuses, for the past few years. An ardent Donald Trump supporter, Yiannopoulos has famously made disparaging comments about women and transgender people. His great claim to fame was being banned from Twitter for terrorizing Ghostbusters and Saturday Night Live star Leslie Jones with racist and sexist comments. By 2017, the self-proclaimed advocate for free speech resigned from the site that gave him a platform as an alt-right troll after comments he made in which he appeared to endorse pedophilia. Shortly after, Simon & Schuster dropped his book deal and he was dropped from the Conservative Political Action Conference. 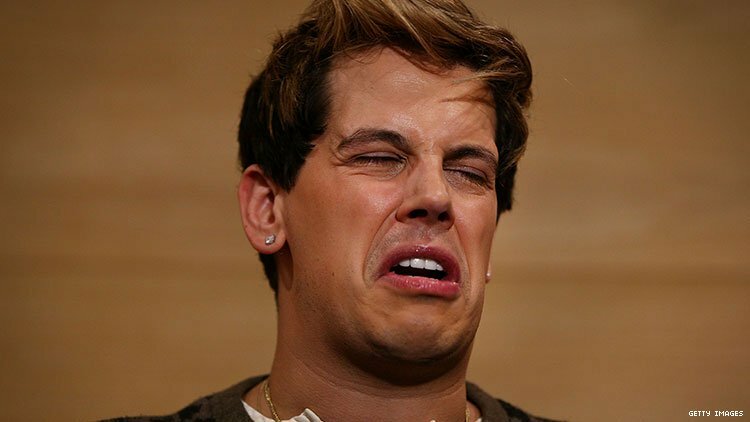 The documents obtained by The Guardian show that Yiannopoulos owes $1.6 million to his own company, $400,000 to the billionaire Mercer family, more than $76,000 to Breitbart writer Allum Bokhari, and $20,000 to Cartier. He also owes thousands to far-right writers like the anti-Islamist Pamela Geller and to science fiction writer Theodore Beale (Vox Day). “I am less financially secure, more panicked and stressed, and more miserable than when we started,” Yiannopoulos wrote to Ben and Dan Spiller, the brothers who run Australian Events Management. He added that he was forced to return his wedding ring to Cartier to take care of that debt, according to The Guardian. Originally published by The Advocate.